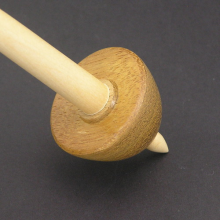 Beautiful Tibetan Micro (Tahkli) support spindle with a whorl made of North American Cherry. 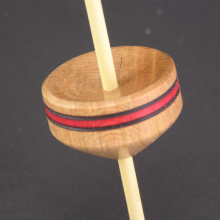 It features a Blue stripe with Black edges. 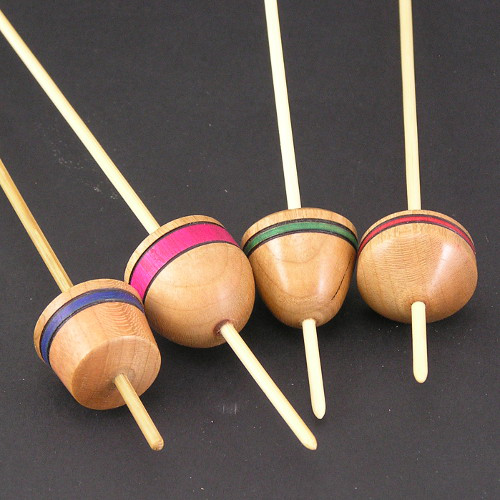 The Bamboo shaft is 1/8″ in diameter, has a long taper,and complements the whorl wood. 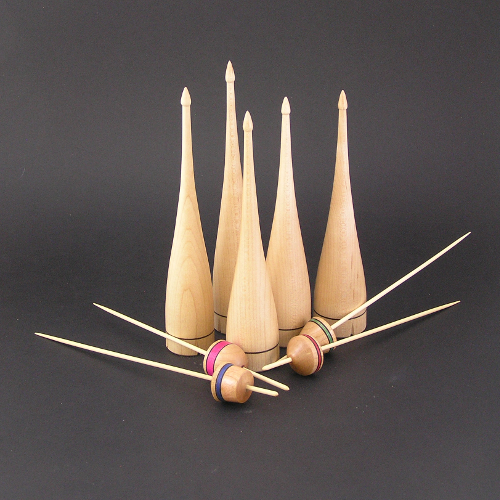 The advantage of Bamboo is that it is very strong and easy to grip when spinning. It also can be straightened by gentle manipulation if it should ever warp or get bent. 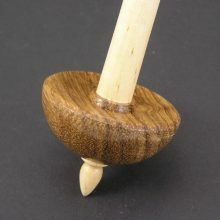 This is a very fast spinning spindle. 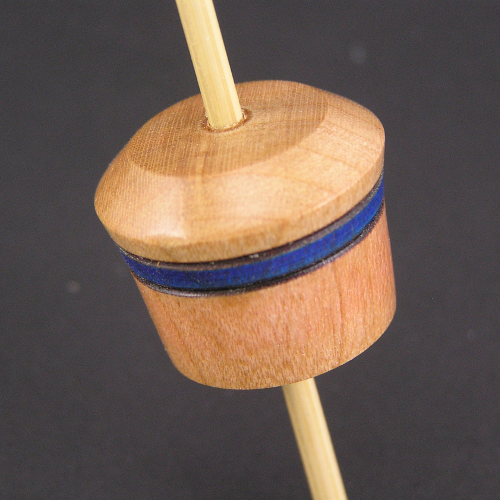 Be the first to review “Cherry Micro (Tahkli) Support Spindle – Blue Stripe – #601” Click here to cancel reply.